With a style all his own, Wes Anderson has succeeded in creating films that are instantly recognisable, not only through their costumes, sets, and character archetypes, but also through their soundtracks. His deft use of music creates an atmospheric nostalgia full of whimsy and wistfulness — perhaps never more so than in his second feature Rushmore (1998) which not only exudes reminiscence in every frame but also employs its soundtrack as a conduit for themes of longing and hopefulness. Anderson originally wanted Rushmore’s score to be predominated by The Kinks. Instead, his finished soundtrack is an assortment of eclectic British Invasion hits and long-forgotten gems of the ‘60s and ‘70s. For a movie about a hopeful young man who is much older than his years, there couldn’t have been a better-chosen arrangement. Here are some of the tracks that make this Anderson flick an all-time classic. Within the first ten minutes of Rushmore, we know that Max Fisher (Jason Schwartzman) may love school but he’s also one of the worst pupils that the titular school has ever had. His enthusiasm for extracurricular activity is depicted through a montage reflecting Max’s roles as French Club president, Lacrosse Team manager, and Astronomy Society founder among other things. The use of The Creation’s “Making Time” here articulates how Max makes time for everything except his actual schoolwork. The jagged electricity of the song magnifies Max’s unwavering enthusiasm for non-scholastic activity while getting us in the mood for a nostalgic experience. Cat Stevens music appears twice on this soundtrack with “The Wind” and “Here Comes My Baby.” That Stevens allowed his songs to be licenced for Rushmore is itself pretty special since he’d stopped granting such permission for quite some time before Anderson approached him. 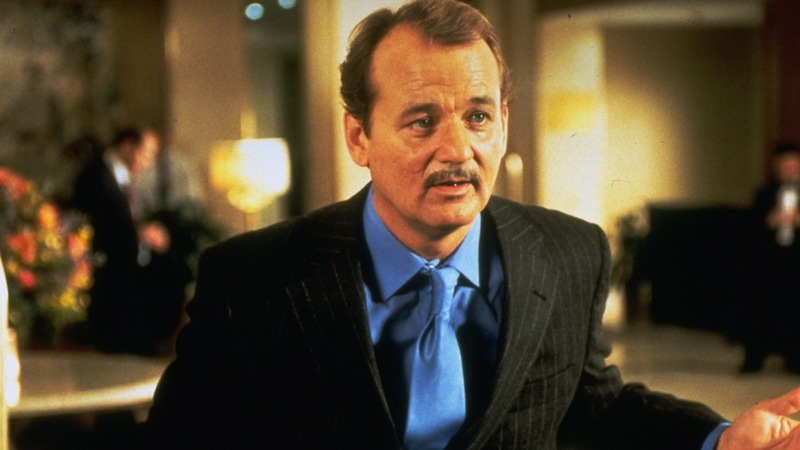 Both Stevens’ songs are used to great effect but “Here Comes My Baby” is particularly well-placed in a montage showing Max, Mr. Blume (Bill Murray) and Miss Cross (Olivia Williams) spending time together. The song perfectly captures the two men’s shared infatuation with Miss Cross as well as the morose feelings that come from seeing the woman you love with someone else. Another montage? That’s right! And this one delivers serious energy and punch as we witness Blume and Max carrying out acts of romantic terrorism on each other in their rivalry for Miss Cross. Passion has always been a staple for The Who making “A Quick One While He’s Away” a wise pick to embody the frenzied revenge — especially as the songs ratchets up from its a cappella chorus to the frantically repeated phrase “You are forgiven!” The dynamic between Blume and Max at this point demands a tune as antagonistic as they are and “A Quick One While He’s Away” delivers, even if there is no forgiveness here, just pure, unadulterated hate. Anderson uses the Stones’ lesser-known gem “I Am Waiting” for Max’s winter of discontent. After getting his heart broken, our hero shuns the people who care about him, and resigns himself to following in the footsteps of his father as a barber. Max is at his lowest point as Mick Jagger taunts him with the words “You can’t hold out, You can’t hold out.” We know that sooner or later Max will get through this tough time. Until then, he’s wading in woefulness. Rushmore’s closing scene is arguably the best bit of cinema Wes Anderson has ever delivered. Some credit must be given to this perfectly chosen track which comes in just as Max asks the DJ at an after-party to ditch the dinner party jazz for something more fitting for his parting dance with Miss Cross. The song — written by Ron Wood and Ronnie Lane — features Wood singing about a conversation between a wise grandfather and his grandson. The lyrics “I wish that I knew what I know now when I was younger” is the quintessential coming-of-age sentiment and sums up Max’s story to a tee: He’s a little older, a little wiser, and on his way.